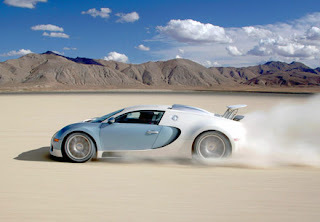 The first ever production model of the Bugatti Veyron has been put up for sale. The Veyron is being sold at a dealership in Beverly Hills, California for $2.4m (£1.5m) and it reportedly has just 400 miles on the tachometer. However, the owner is clearly looking to make money, as a new Veyron, of which only 300 will be produced, costs around £850,000. The low mileage should mean the Veyron, with its #001 production number, is in mint condition. The car has 987bhp and travels from 0-62mph in 2.46 seconds. Power comes for its 8.0-litre W16 engine, which can produce 922lb ft of torque.